Two lanes merging into one lane at each end sounds like a recipe for a continuous jam-up during peak usage. Am I mis-reading it? As for the $250 million, perhaps that will cover the design and engineering costs. Surprisingly, I agree with Kuff AND Kubosh. How often does that happen? Build an “express lane” and all you have done is create different points of gridlock. At the point where the express lane dumps onto the existing 610, you just caused a massive backup, so you really haven’t done anything to address the problem. And not connecting a 610 flyover to I-10? Uh, yeah, what’s that about? The best way to help traffic flow in Houston would be to open up the HOV lanes to everyone. The reason the 610 West Loop is in perpetual gridlock isn’t so much lack of lanes as poor design. You have an exit or entrance ramp every quarter mile from Post Oak to the Southwest Freeway. Most of the exit ramps dump out onto the access road only a few carlengths short of stoplights with long wait times. Between drivers who need to cross multiple lanes of traffic to enter or exit the freeway (thanks to I-10 and US 59) and stopped traffic backing up onto the main lanes, traffic jams are unavoidable. Elevated bypass lanes won’t do much to relieve the core problem. 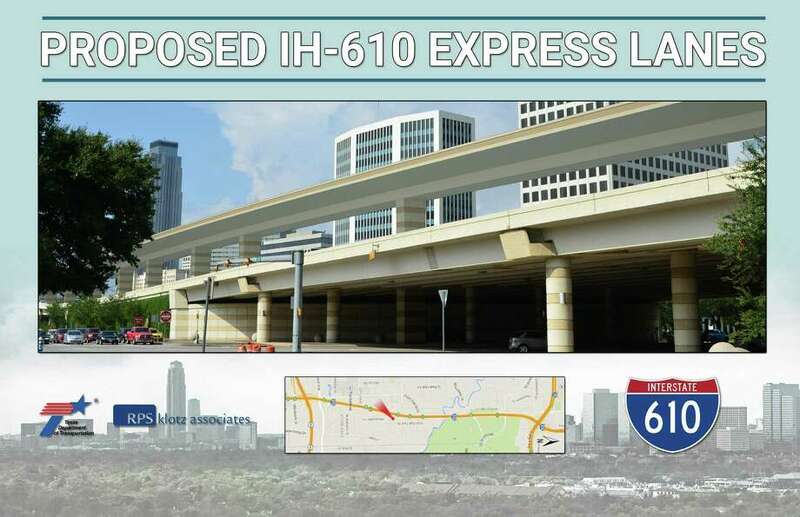 The West Loop needs a total redesign, with fewer exits for the Galleria area, longer merge zones, and separation of traffic exiting to 59 and traffic continuing on 610.